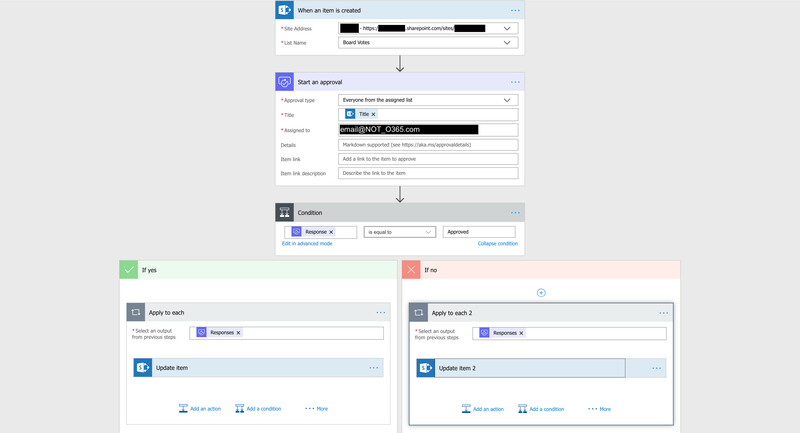 Slowly losing my mind over a simple SP List approval work flow returning a 404 error to the approver when they are external to the O365 account. Below is the Screenshot of the flow (it is in my default environment). 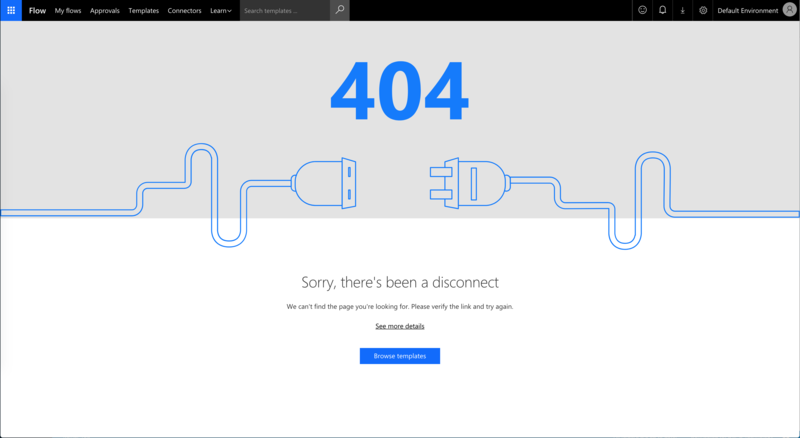 Here is a picture of the error I am getting when clicking an approve or deny link in an email sent to a non-O365 account. The error I get is that the environment doesn't exist. Like I said, I am losing my mind and could really use some help. Browse other questions tagged microsoft-flow or ask your own question.